Since 1993 the Ayurveda Parkschlösschen has been the epitome of medical and traditional Ayurvedic Detoxification, the Panchakarma cures. 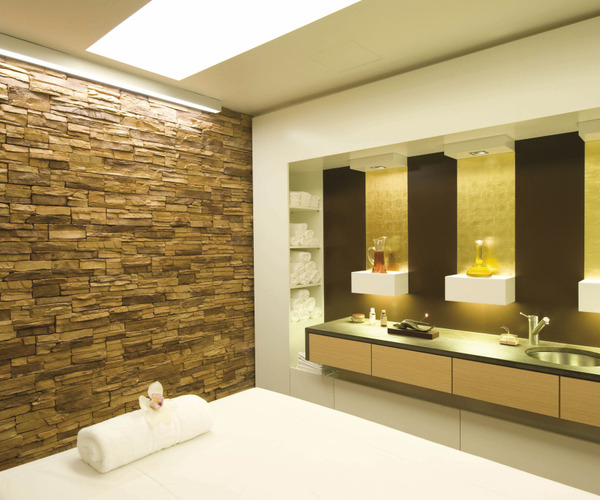 It is the only 5-star Ayurveda Hotel in Europe which holistically and exclusively implements the Ayurvedic philosophy. The cure programmes, treatments and therapies are all based on the thousands of years old principles of the Ayurvedic art of healing. Ayurveda practitioners, Ayurveda therapists, Ayurveda cooks and Yoga teachers – everyone performs in keeping with this ancient knowledge. Each treatment programme, if long or short, is individually tailored to each guest’s current health state and are centred on holistic detoxification, profound regeneration and promotion of a healthy lifestyle – with the aim of achieving physical and mental well-being, new life energy and health. Most guests come for the Panchakarma cure but one may well also spend a long weekend to get a glimpse of the hotel’s atmosphere and services or visit for the programmes Liver Detox, Anti-Stress, Yoga & Ayurveda or Ayurveda Pre-Wedding Special. Generally Panchakarma is ideal for prevention and to promote vital aging but is also very beneficial when tackling illnesses. Medical indications are manifold: weight-loss, chronical diseases, diseases of the intestines, arthritis, tinnitus, infertility, rheumatism, autoimmune diseases, pain conditions, neurovegetative illnesses, burnout, sleeping disorders, cardiovascular illnesses, high blood pressure, gynaecological ailments, PMS, to name a few. Experience shows, all Ayurvedic treatments at the Parkschlösschen have a deeply penetrating effect and they are traditionally part of an Ayurvedic cure. For this reason, they can be carried out only after a consultation with one of our Ayurvedic practitioners. Synchronous Ayurvedic massages build up the heart of Parkschlösschen’s therapies - 4 hands gently massage you with Ayurvedic oils which can put you in a heavenly trance. Treatment days can often contain two or three treatments: for example a deep tissue synchronic massage can be followed by an oil bath of your lower back or oil pouring on your forehead. The oils and herbal supplements are organically cultivated and applied in keeping with your individual requirements. The purely Ayurvedic therapy area comprises 13 treatment and 11 private quiet rooms – with separate treatment areas for men and women, in true Ayurveda tradition. There is also a 2000 m² wellness area comprising thermal swimming pool, two saunas, a steam room, a fitness center, a cosmetic studio, two yoga and gymnastics rooms as well as treatment rooms for physiotherapy, cranio sacral therapy and private meditation initiation. The hotel is nestled into its own 4,5 hectare parkland with adjacent vineyards and woods which invites to mentally retreat, digitally detox and reconnect with nature. At the Ayurveda Parkschlösschen you will find 58 comfortable rooms, furnished in accordance with Ayurvedic principles, comprising 15 junior suites, 30 double rooms and 13 single rooms - some with balcony or park view. 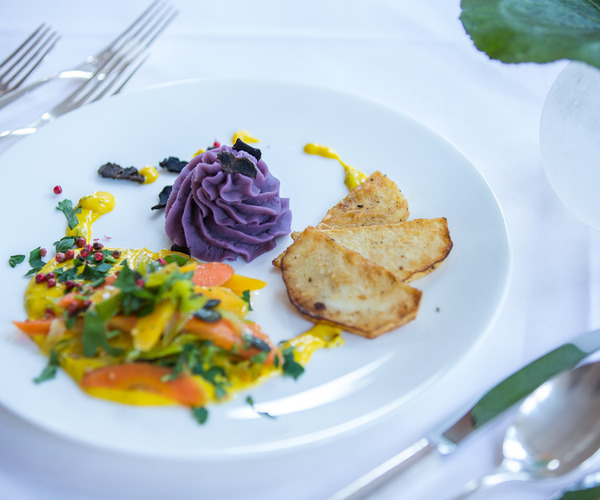 Natural foods, aromatic herbs and creative preparation according to Ayurvedic principles form the basis of all cooking at the Parkschlösschen. The freshly prepared gourmet vegetarian food (of which 95% is vegan), finely balanced and easily digestible, relieves metabolism and is a great source of energy. Most guests are happily relieved when they experience how tasty they can eat while detoxing – renunciation has never been so palatable. During your Ayurveda course of therapy, we make it enjoyably easy to begin a new eating pattern: in our own in-house training kitchen, our cooks hold regular cooking workshops to arouse your passion for Ayurvedic cooking. To help you continue with your new eating pattern, our book “The Art of Ayurvedic Cooking – Parkschlösschen Cuisine”, containing 80 recipes, will be your gourmet guide at home. Our in house programme includes daily evening lectures, also on the basic principles of Ayurvedic nutrition.